Here at Celgene, we are seeking our next forward-thinking colleague – following a period of growth within Study Programs, we have an opportunity for a Data Scientist to work within our Medical Affairs group, focussing on Immunology & Inflammation. Reporting into the Associate Director of Global Medical Affairs for this group, you are someone who can provide support to the Celgene Study Programs which have been coordinated by the Medical Affairs team – principally, the Celgene-sponsored non-interventional studies. Leading the Data Management planning, you will have responsibility for study set-up and execution, as you work with both internal experts and our outsourced partners – this role is therefore ideal for those that have a proven track record (3+ years), as a Data Manager for a pharma / biotech or CRO organisation. You will provide a key contribution in this function, performing a hybrid Data Manager / Research Scientist role – this is to ensure high quality and standardised data collection across the portfolio, which is validated in the clinical database in a timely manner and to a high standard. As you partner with several departments in the company, you will have frequent contact with the affiliates across our WorldWide Markets – therefore, prior experience of working “above-country”, and across different cultures, is advantageous. Splitting your day between meeting deadlines / managing priorities / multi-tasking, we offer you an environment which is well-matched to someone who can work with their own initiative whilst also being accountable to the team. You are someone who has strong working knowledge of EDC databases. Additional knowledge of J-Review or other reporting tool and understanding of SDTM and CDISC. It would also be great if you have knowledge of and interest in analytics and visualization (Tableau, Spotfire) techniques a plus. 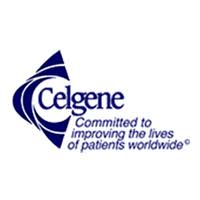 Celgene Corporation is an integrated American biotechnology and pharmaceutical company engaged primarily in the discovery, development and commercialization of innovative therapies for the treatment of cancer and inflammatory diseases through gene and protein regulation. It is incorporated in Delaware and headquartered in Summit, New Jersey.